We are trying to track all of the page views to certain sites. We ONLY need to know how many folks visit each page. Unfortunately what is happening is Google Analytics (GA) is not aggregating the page views. Rather than aggregating all of the page views whose page is identical GA treats them all separately. Additionally, we are seeing all kinds of PII which we do not want to do. Is there a way I can use a REGEX to remove every query or do I have to list all of the queries separately? How would I implement this in Google Tag Manager (GTM)? Is there any 3rd party software compatible with GTM and or GA available to accomplish this? 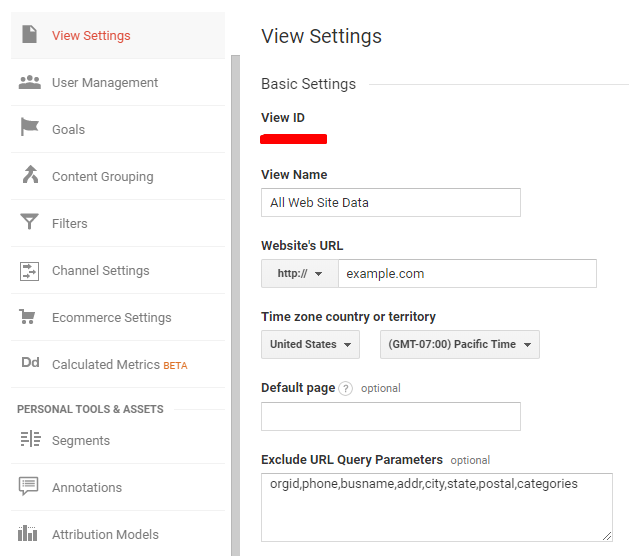 Make a new view in Google Analytics that filters out the parameter string. Keep a view that does not have this filter, as you never know when you might want that data. Well, if you could use a POST instead of a GET with query string, that would certainly be best. One solution, would be to do a 301. So the user arrives with the GET and query strings, you save that data, on your server and do a 301 to the page without the query string. In effect you will get two hits, one without the query strings. If you need the data displayed in the page, though, it requires a cookie. Another solution is to have an IFRAME inside your page. All users see the same IFRAME when they hit that page with the query string. The counter on that IFRAME page reflects the number of users who accessed that page whatever the query strings. One problem with the image, you want to place it under a folder that is blocked in robots.txt so at least compliant robots do not generate false hits. 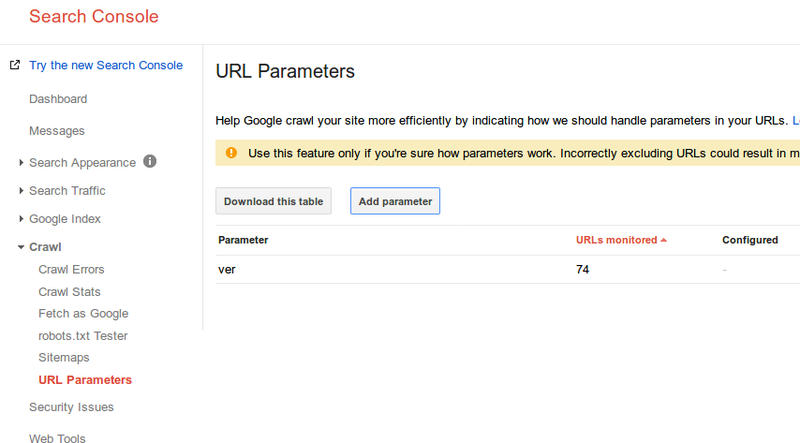 As pointed out in a comment by gintsg, the Google Search URL Parameter is for SERP, not GA. So this won't help. Instead, you want to use GA Filters. The simplest, but possibly not the best, is to tell GA about your query strings. More precisely, to tell it to ignore those fields when they appear on your URL. Although you may present the page with content such as the phone number, it will do what you expect in terms of counting user accesses. First of all, need to understand that personally identifiable information (PII) data leaking is a serious issue and you should consider changing your data sending/receiving method in your website from GET to POST. This must be your primary goal if the parameters are related to PII. Analytics customers are prohibited from sending personal information to Google. The Analytics terms of service, which all Analytics customers must adhere to, prohibits sending personally identifiable information (PII) to Analytics (such as names, social security numbers, email addresses, or any similar data), or data that permanently identifies a particular device (such as a mobile phone’s unique device identifier if such an identifier cannot be reset). Learn more about how to avoid sending PII. Your Analytics account could be terminated and your data destroyed if you use any of this information. In your case, phone; busname; addr; city; state; postal are all PII by Google interpretation. Other issues if you are leaking PII in your URL parameters: You could be against Terms & Conditions with other services as well, not only Google Analytics. If you are using AdSense, Facebook Remarketing and any other services, you could send these URL to these servers which could cause problems and your accounts could be terminated. If changing GET to POST not possible: You should encrypt all of your PII data. You can send Google Analytics an encrypted identifier or custom dimension that is based on PII, as long as you use the proper encryption level. Google has a minimum hashing requirement of SHA256 and strongly recommends the use of a salt, with a minimum of 8 characters. Notwithstanding any of the foregoing, you may not send Google Analytics encrypted Protected Health Information (as defined under HIPAA), even if it is hashed or salted. This is the easiest and simplest way to do it. Just go to your view settings under Admin > View Settings and add you parameters which you want to exclude in Exclude URL Query Parameters field. You must do it for every single view. Please, exclude firing the tags in GTM on URLs which contains these parameters to avoid any Terms & Condition problems. Not the answer you're looking for? Browse other questions tagged google-analytics analytics google-tag-manager or ask your own question. How do I keep track of UTM referrer during an account activation process?